The right window treatment can go a long way to making the design of a room perfect. Are your windows tying it all together, or are they breaking up your interior decorating vision? If you are having trouble finding the drapery, blinds or shutters that belong in your room, you may want to consider looking at custom fabric or designs. There are many reasons why people come to us for custom designed window treatments, but here are three of the most popular reasons. You’ve settled into your home, and you can’t wait to take full advantage of your tall windows and vaulted ceilings. Trouble is, none of the curtain or drapery panels you can find “off the shelf” will fit your beautiful windows. When extra-tall windows are involved, you may need custom treatments. For a classic home with high ceilings and a formal style, draperies will highlight the beautiful architectural detail in your home. With high ceilings, having drapery window treatments that flow from ceiling to floor add drama and accentuate the height of the room. Having your drapery window treatments “puddle” on the floor adds softness to the room without taking away from the elegant feel – another great reason to get a custom length drapery. Whether it’s long and skinny, a crescent moon or any other shape under the sun, if it’s got glass and a frame, chances are we can design the right treatment for you. An ill-fitted window treatment makes your room look disorganized and incomplete. Whether it’s structured or long and flowing, our team can design the window treatment to suit your needs and taste. 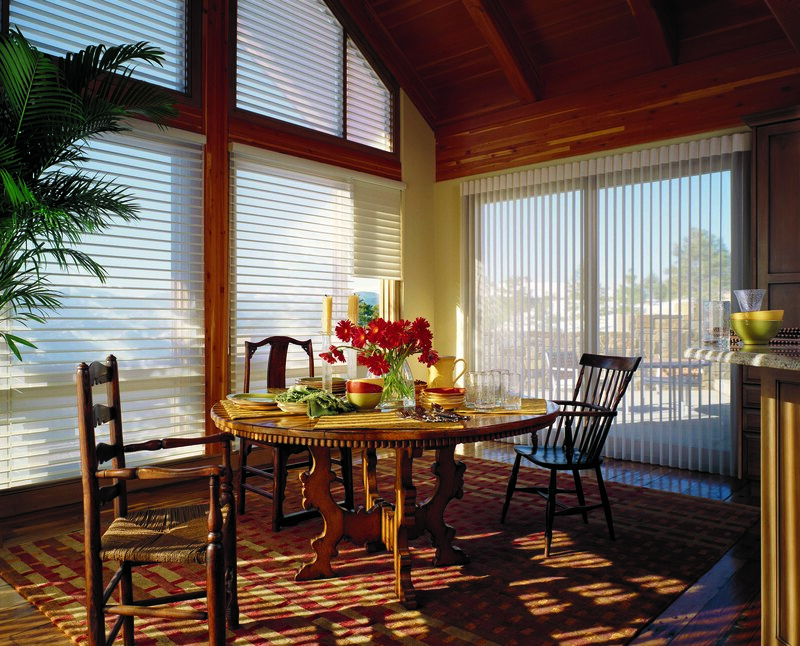 Most custom shaped window treatments can be stationary or operable. With the technology available today, it may be possible to motorize or automate your window treatments. You chose your home carefully, and you’ve filled it with furniture, art and color that you’re proud of. Add even more polish to your decor with a window treatment that’s absolutely perfect. From weight to colour to pattern to design, there are endless combinations and possibilities for window treatments. When it comes to getting it absolutely right, you have a lot of customization to choose from. Top treatment fabrics and styles can change the mood of your window treatment considerably, from elegant and dramatic to clean and modern. Adding the right hardware and tie-backs allows you to have picture perfect windows in every room of your home. From breakfast nook to media room, our team of experts can help your interior design dreams a reality. Come to our New Hamphshire showroom to see our selection and discuss making your window treatment vision a reality or click below to book a free in-home consultation.